Smartphones are everywhere, but what users are doing with them is changing everyday. According to Cisco’s 2015 Mobile Data Traffic report, mobile video traffic grew to 55% of all mobile data traffic in 2014. Mobile video traffic is expected to grow by 66% a year from 2014 through 2019, which is the highest expected growth rate of any mobile category. Over the last few years, almost all mobile streaming adoption has been in the form of on demand clips. Whether that video is watched on YouTube, Facebook, Vine, Snapchat or elsewhere, the focus of video streaming has been on past events. But now, a new segment of mobile video is taking over the smartphone: mobile live streaming. At the same time as technological advancements have created an environment where mobile live streaming is possible, users have shown more and more interest in live, which offers a more pure, interactive experience than pre-recorded videos. 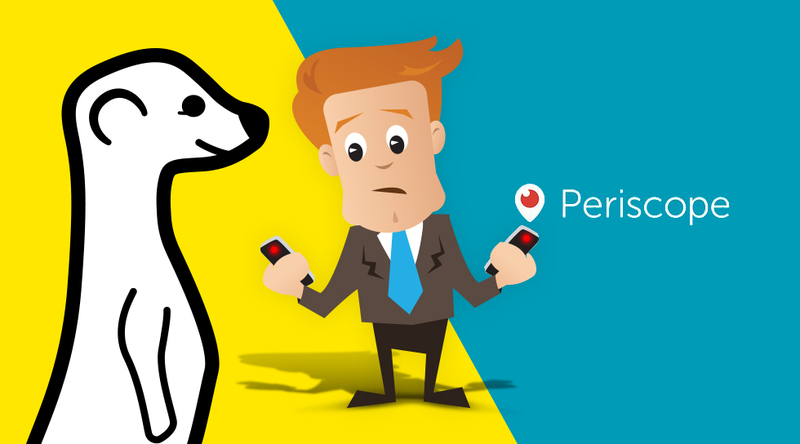 Cue Meerkat and Periscope, two mobile live streaming applications that launched in the beginning of 2015. These companies both help people share their adventures with others, live, and provide authentic experiences to viewers. Periscope, owned by Twitter, had 1 million users just 10 days after it was released. Today, these technologies are used by only a small percentage of smartphone users in the U.S., but their combined user base is growing quickly. Mobile live streaming is growing so quickly, in fact, that many large publishers have noticed its effect. So far, organizations including HBO, the NHL and the USGA, have publicized issues with or publicly banned mobile live streaming. But, user interest and market growth show that this technology is here to stay. Over time, the adoption of mobile live streaming will require enhancements in supporting technologies. Specifically, mobile live streaming will likely need more available bandwidth to deal with peak demand during popular events, faster downlinks to help load the streams and mobile devices that can create higher quality live streams. At Peer5, we’ve created the P2P CDN for live streaming video. Peer5 works with traditional CDNs to improve content delivery for live streaming on mobile devices and computers. By utilizing peer to peer software, publishers can offload bandwidth from their servers, increasing their capacity to deliver streams by over 4 times during peak events. At the same time, our P2P CDN improves user experience by loading streams quicker, thereby minimizing buffering. Even with smaller streams, this technology can be very effective, offloading over 50% of bandwidth with only 4 concurrent users. Learn more about Peer5’s live streaming solution here.